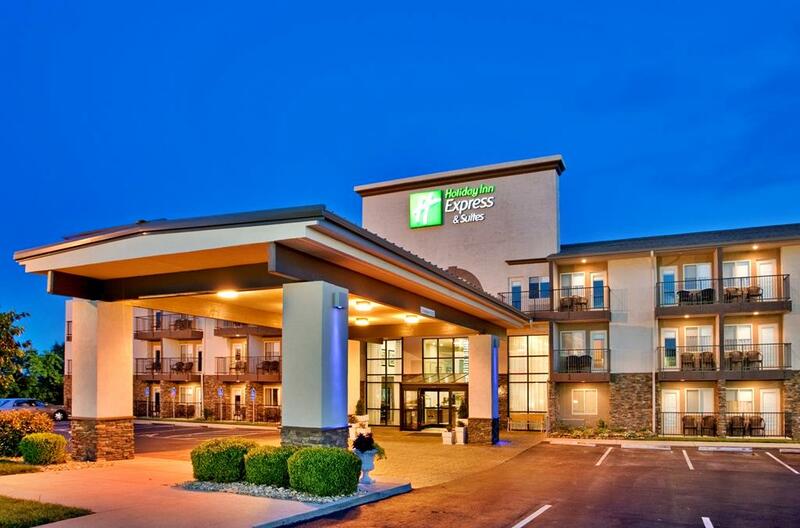 One of the most extensively renovated and updated properties on the strip, the brand-new Holiday Inn Express in Branson, Missouri provides guests with new rooms, great features, and a friendly staff. 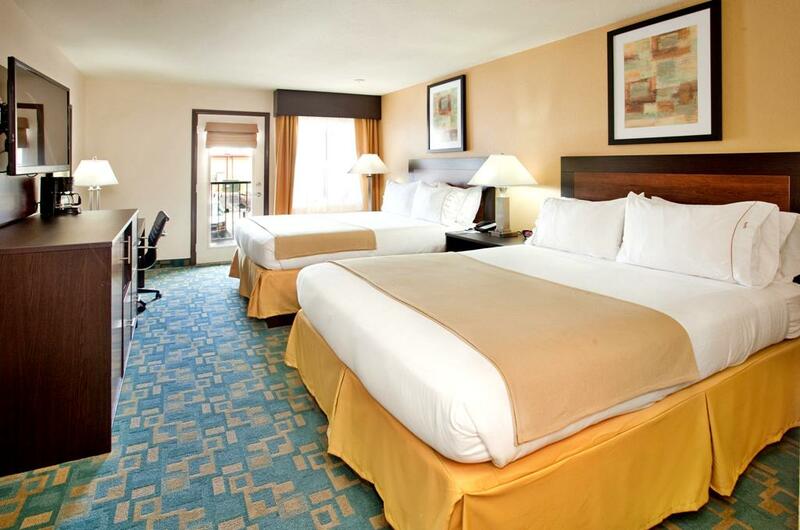 You save up to: $274.75 (78%) off! 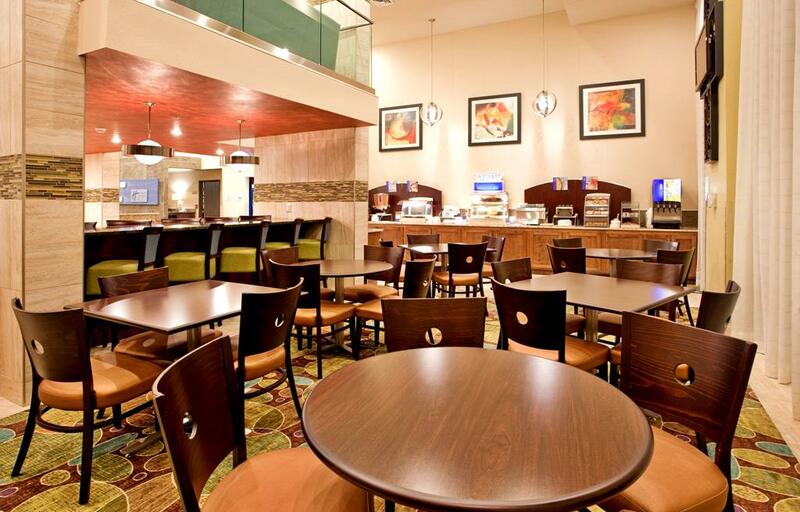 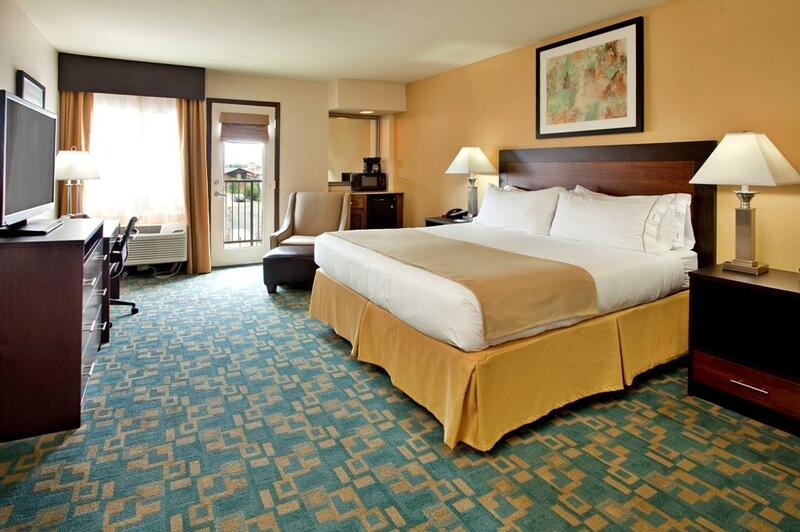 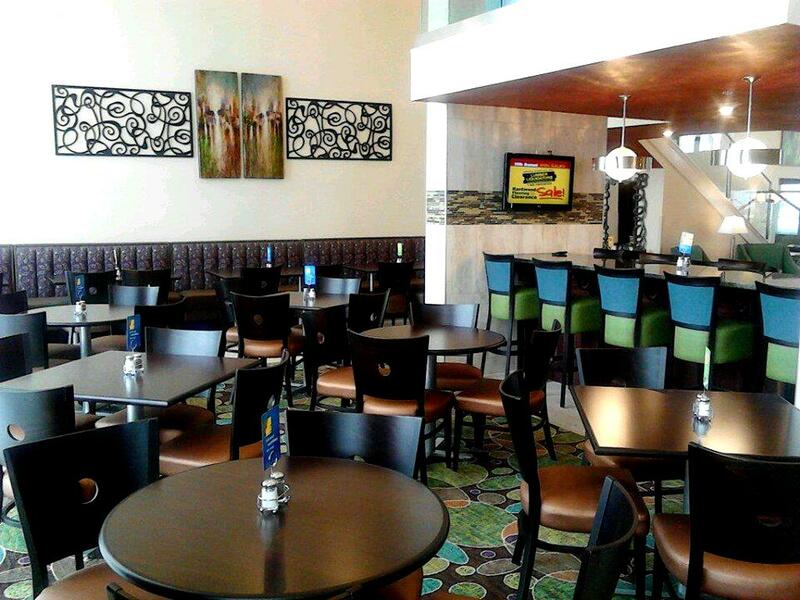 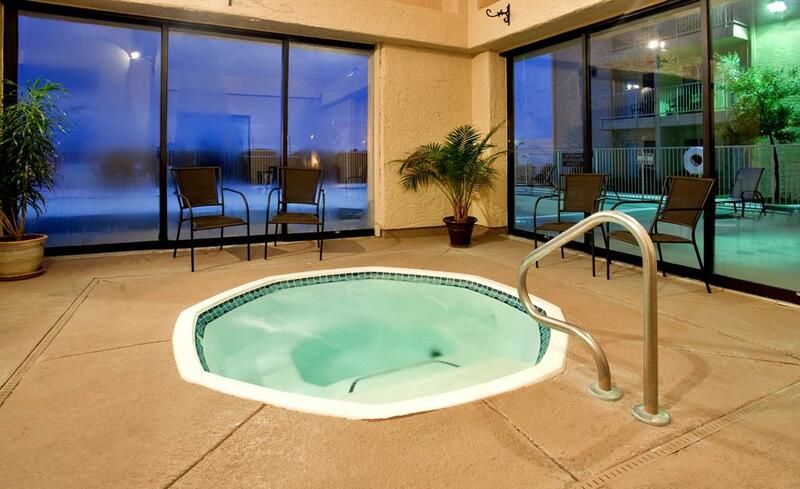 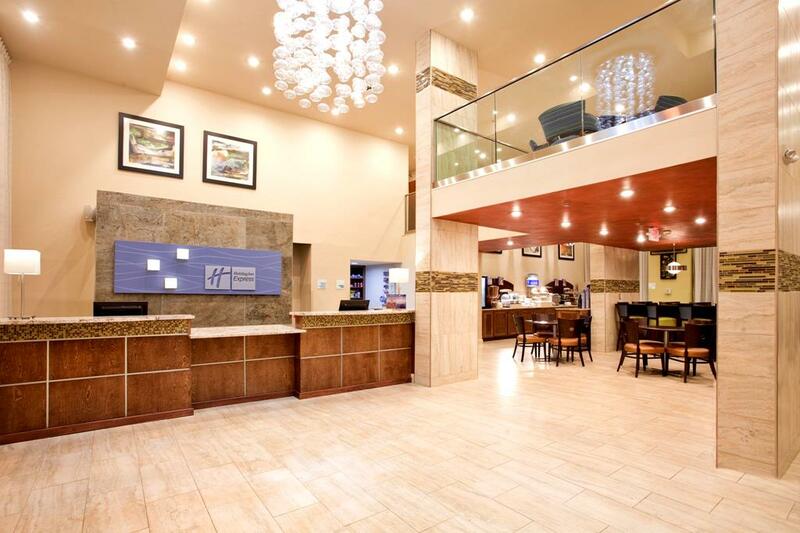 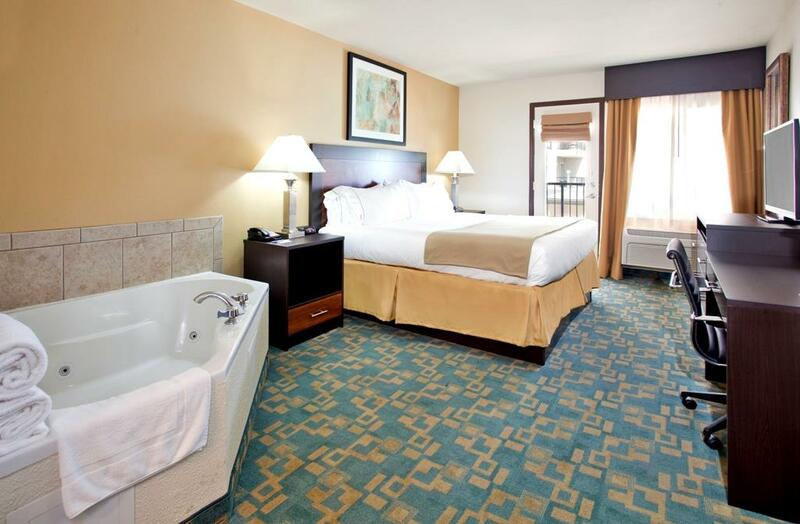 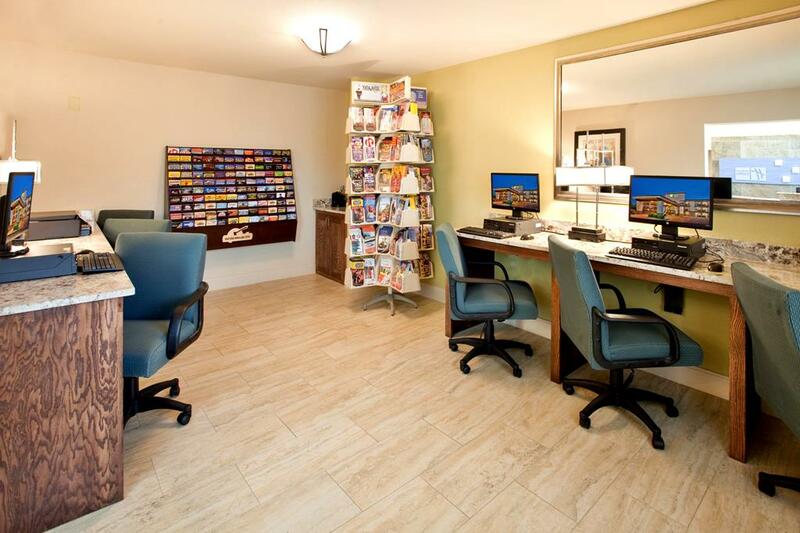 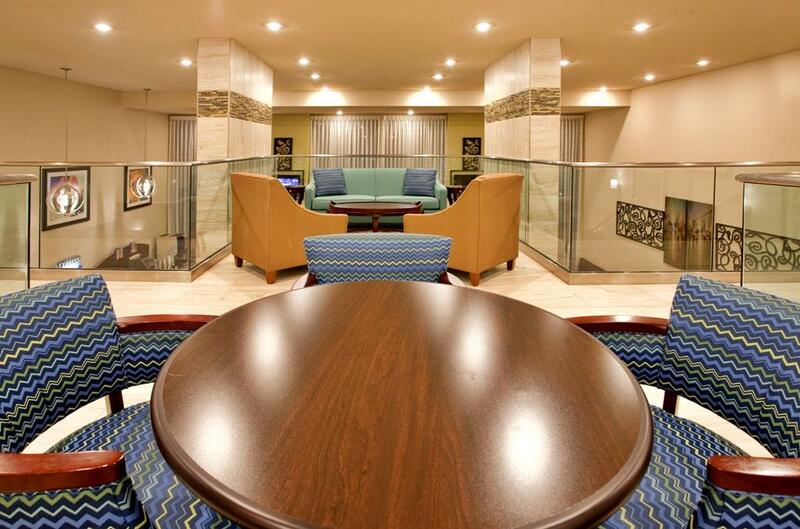 Booking tip: Holiday Inn Express (Highway 76) is very popular, advance reservations are recommended! 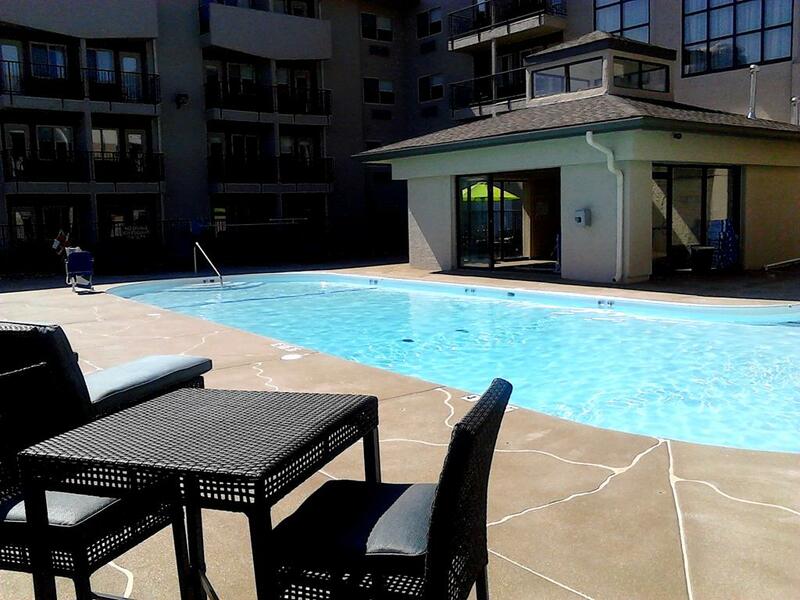 Location, Modern Features, & a Name You Trust! 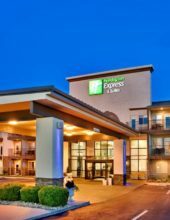 Extensively updated and renovated, the Holiday Inn Express & Suites hotel on Highway 76 offers guests a place to stay with a name and brand they trust. 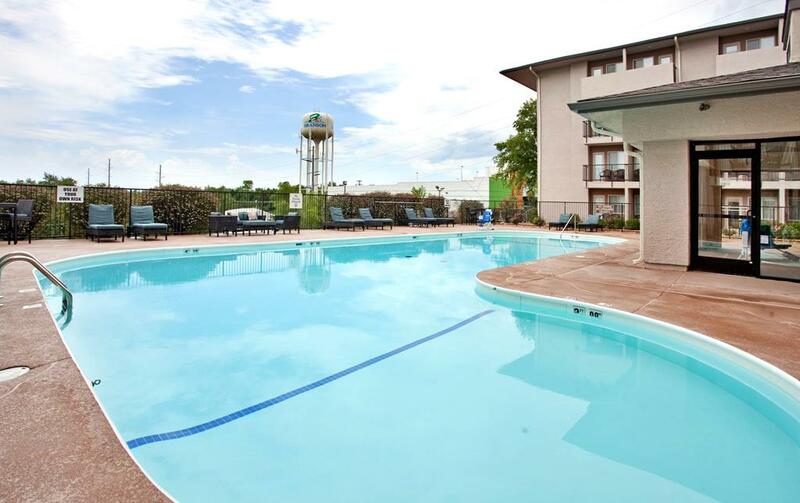 The property has undergone a complete transformation that includes extensive upgrades or remodeling of nearly every aspect of the property. 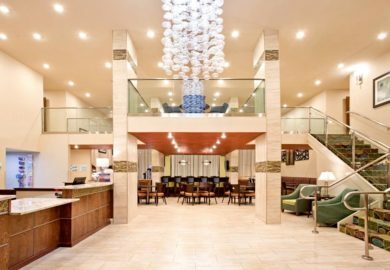 Everything from the hotel’s lobby to the plush guest rooms has been updated and upgraded with the latest amenities and features. 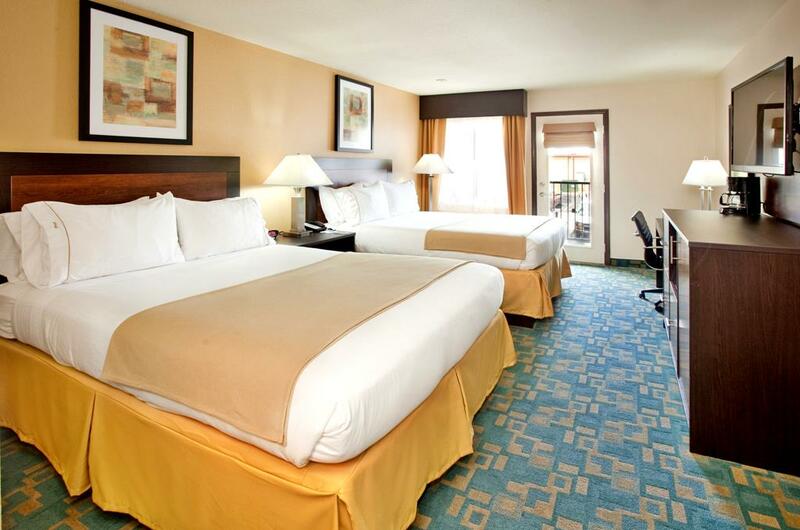 For more than a year the hotel has undergone extensive updating from nearly the ground up – giving guests access to one of the newest lodging properties on the strip. 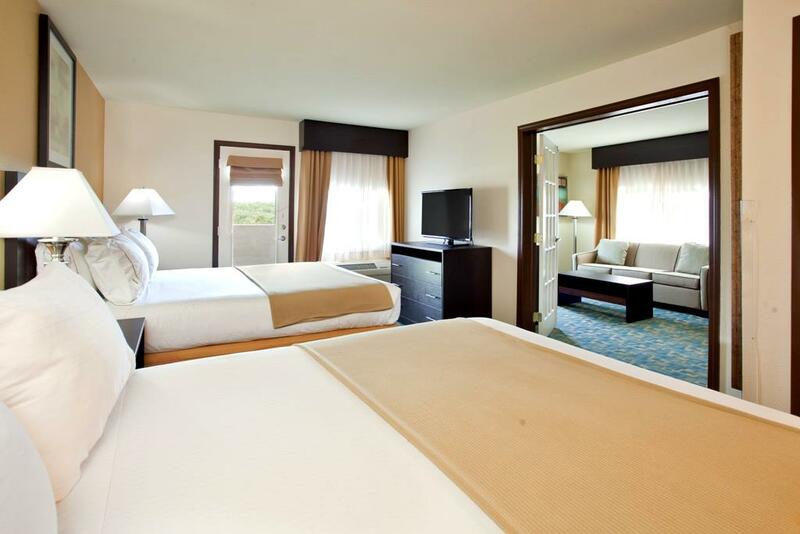 Brand-new furnishings, furniture, and decor can be found throughout the property, offering those who stay a comfortable and inviting environment for their visit. 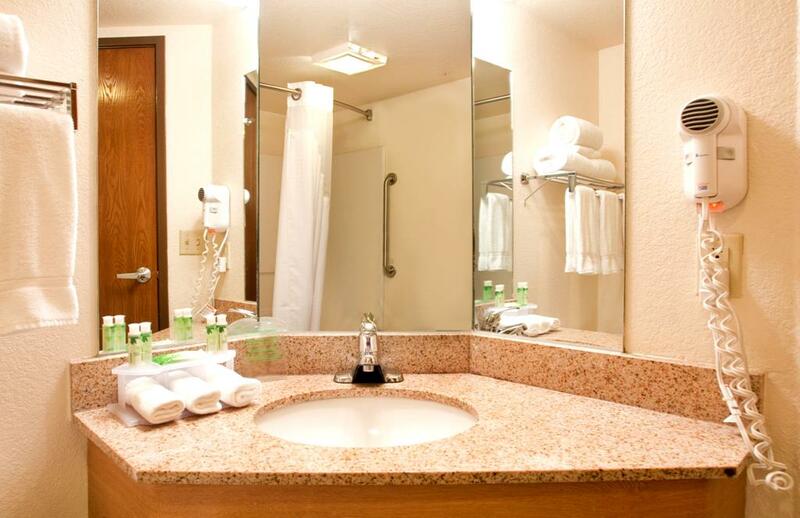 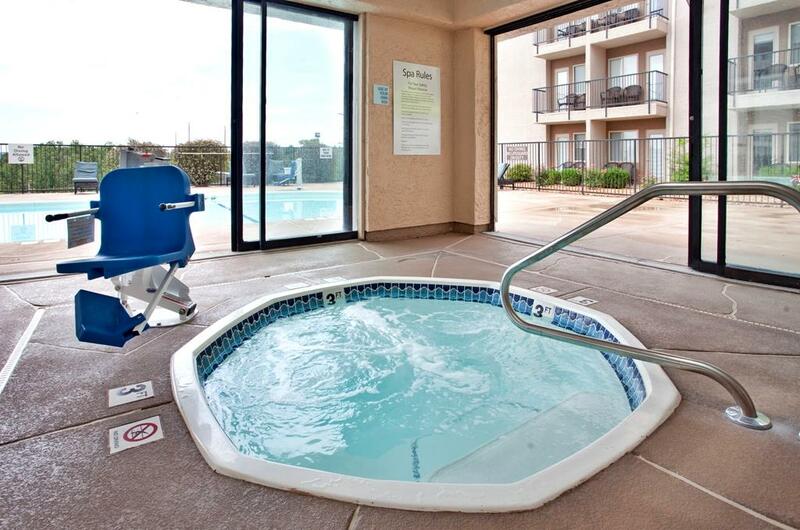 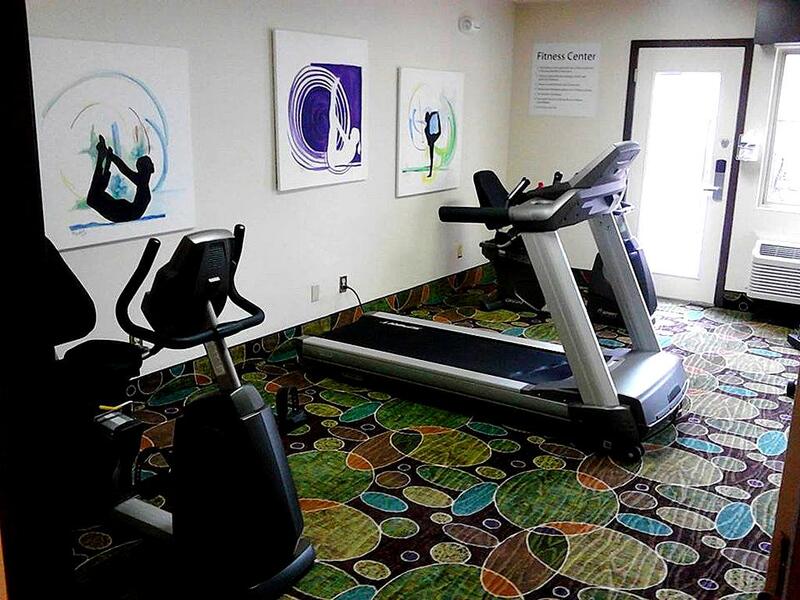 The hotel is situated in the heart of Branson’s entertainment district, providing guests with amazing access to all of the things to see and do in town. 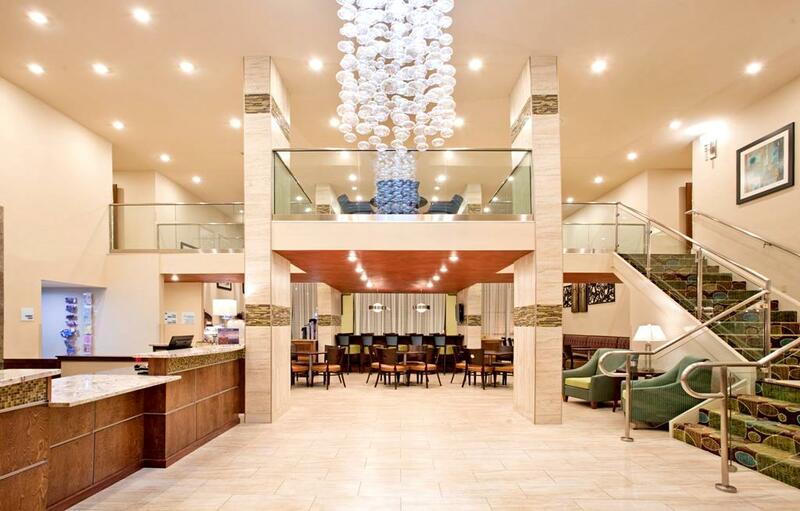 While it sits along Highway 76, the hotel is set back about a block off the road – tucking you away from the noise, hustle, and bustle of the cars. 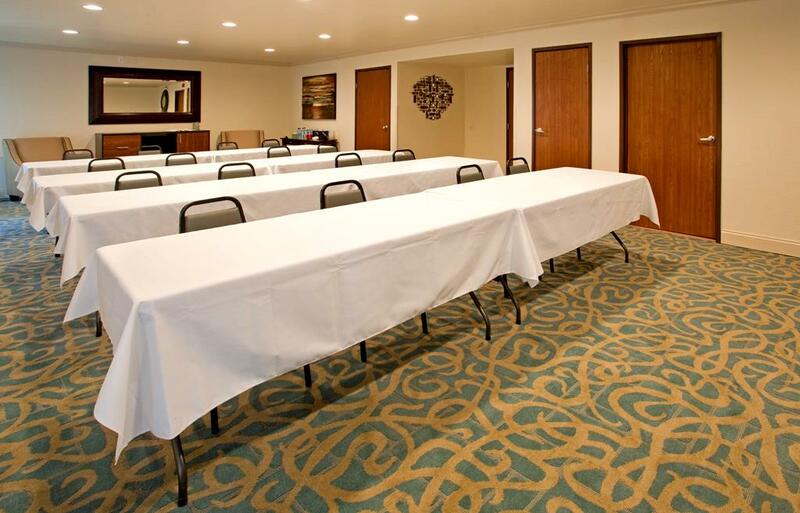 We have had a church group visit here every year the past few years and everyone has nothing but great things to say about it! 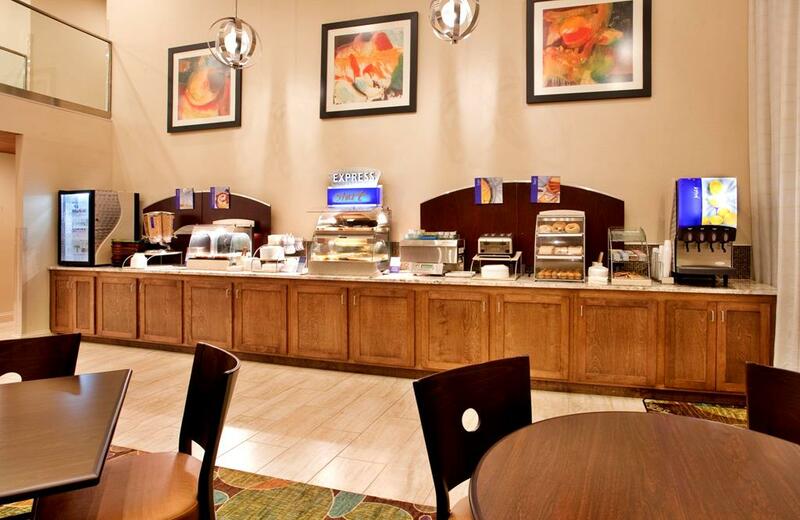 Great location and their breakfast is one of the best I’ve seen out of any stays we have had in Branson.